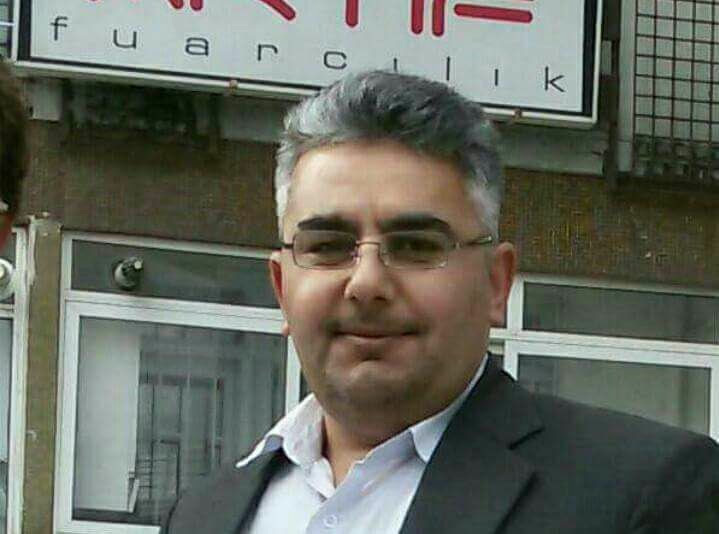 Washington, D.C.- On Saturday, March 25th, Dr. Ali Darwish, a specialist orthopedic surgeon at a SAMS-supported hospital in the Hama countryside, was killed in a chemical attack that hit the hospital, resulting in two deaths and 32 injuries. Dr. Darwish is survived by his wife and three children. 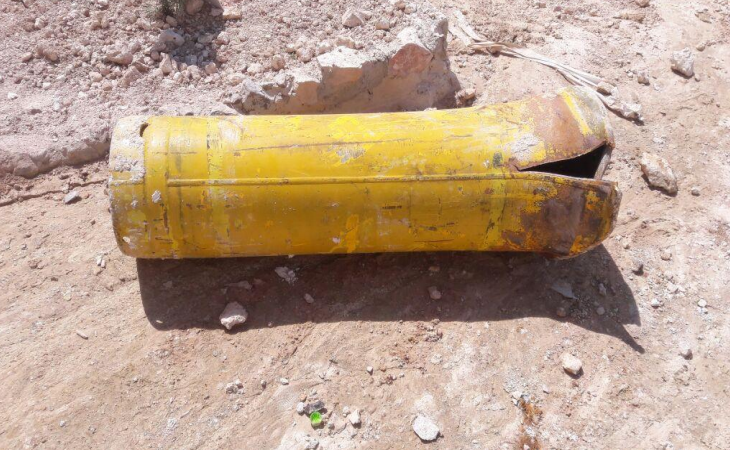 Initial reports indicated that at approximately 3 pm local time, a helicopter belonging to the Syrian government or its allies dropped two barrel bombs containing chlorine and other unknown chemical agents at the entrance of the hospital. The underground facility lacked a suitable ventilation system to prevent the spread of the gas, or sufficient oxygen to treat the high number of affected patients and staff. Dr. Darwish was one of the few medics at the facility. He was treating a patient in the hospital’s operating room when the chemical attack took place. He refused to leave his patient’s side until he lost consciousness in the operating room and was evacuated to another hospital. By the time Dr. Darwish was admitted to a nearby hospital, it was too late: he died in the emergency from exposure to the chemical agent. 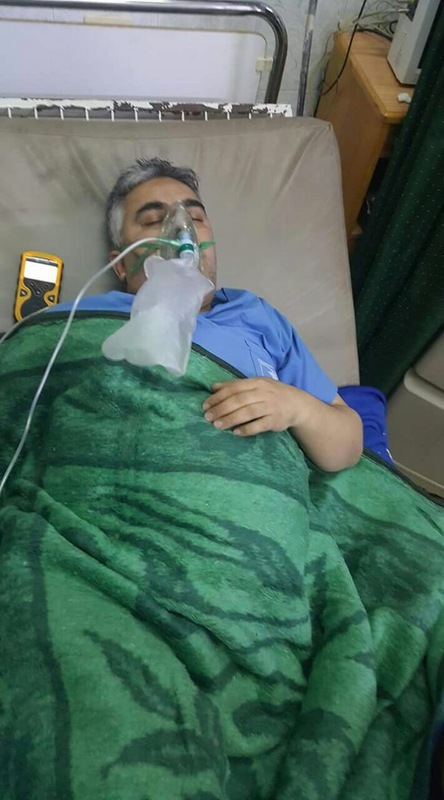 32 people, including 14 medical workers, were injured in the chemical weapon attacks on hospitals that took place over the weekend. Medical staff treating the victims of the attack have reported symptoms that are consistent with chlorine and other chemical agents, including: dyspnea, vomiting and foaming at mouth, dry cough, cold sweats, and cyanosis. After the March 25th attack, the hospital in Hama is now out of service. The cave hospital which was built into the side of a mountain was providing 1,600 medical consultations, admitting 176 patients, and performing 150 major surgeries on a monthly basis. In the past month, four hospitals in Hama governorate have been rendered out of service due to aerial bombardment. Thousands of civilians in the area can no longer access medical care. The targeting of healthcare is not only unlawful, but also severs the already tenuous access to health care that so many Syrians must endure. Since the beginning of the Syrian conflict, there have been at least 172 documented chemical attacks. Chemical attacks are illegal according to international law and constitute a war crime. In September 2013, after the conflict’s deadliest chemical attack in East Ghouta, the UN Security Council Resolution 2118 was intended to bring about the destruction of the Syrian government’s chemical weapons stockpile. However, more than three-quarters of the 172 chemical attacks in Syria occurred after this resolution. “We are deeply saddened and outraged by the loss of our dear colleague and friend Dr. Ali Darwish He exemplified the unwavering courage and resilience of so many Syrian health workers who continue to face impossible choices like his every day for over six years now. Our hearts and prayers go out to his family,” said Dr. Ahmad Tarakji, SAMS President. The continued weaponization of healthcare in Syria has dire consequences for health workers and patients. Chemical agents are insidious weapons used to displace and instill fear in civilians and health workers alike. This symbolic “red line” has been repeatedly trespassed, but such attacks continue. SAMS calls on the international community yet again to take meaningful and immediate actions to stop attacks on healthcare in Syria and hold perpetrators accountable for these heinous crimes that we keep witnessing. Attacks on civilian infrastructure cannot continue with impunity. For media inquiry, please contact our Media and Communications Manager, Lobna Hassairi at [email protected]et.